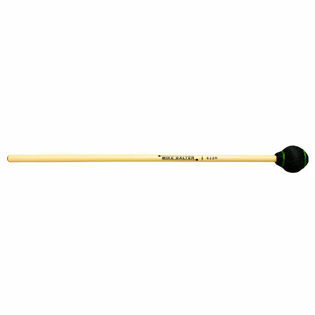 The Balter Chamber Series Medium Hard Mallet is designed to perform on both Marimba and vibraphone. Sounding particularly great on the upper registrar of the instrument it still functions across the entire range. A perfect middle voice in a graduated set. This series enables chamber marimba ensembles to have each player's musical voice be perfectly blended for a unified sound. Especially when playing two-mallet chamber music. Available in slightly shorter hand-selected rattan handles which enables the player to have endless dexterity throughout the entire instrument.